The National Institute of Clinical Research collects human blood and blood products (normal and disease-specific) to fulfill the research requirements for the pharmaceutical, biotechnology, and academic biomedical industries. The human blood is collected at our medical facility in Los Angeles, California. Trained phlebotomists, under the direction of licensed physicians and registered nurses, collect research blood from donors recruited to match the specific research requirements of your project. 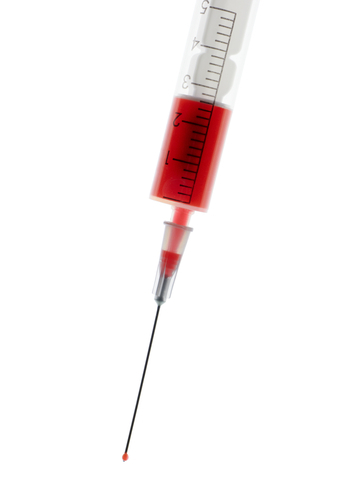 Phlebotomy protocols, processing and transportation, are designed to meet your specific needs. The National Institute of Clinical Research’s database allows access to more than 100,000 patients with specific medical conditions and all ethnicities. These patients’ medical condition include: cancer patients, transplant patients, diabetic patients, hepatitis B positive, hepatitis c positive, hemophilia disease, hemodialysis, HIV positive, and rheumatic arthritis. NICR is able to provide samples of whole blood, buffy coat, platelet concentration, and red blood cell plasma for any research parameters. Arrangements can be made to customize blood sample collections based on any requirements of donor populations, anticoagulants, and collection amounts. National Institute of Clinical Research assures the American Association of Blood Banks guidelines for donor drawings including confidentiality and donor identification is practiced. NICR tests each donor’s blood for standard blood-borne pathogens prior to every donation acquired. The laboratory is licensed to perform blood screens for ABO/Rh, antibody screen, syphilis serology, anti-HIV I/II, anti-HTLV I/II, hepatitis B surface antigen, HCV antibody, and hepatitis B core antibody. National Institute of Clinical Research routinely ships same day service of blood components throughout the United States according to specifications of either: wet ice, dry ice, or room temperature. Arrangements for international shipping can be made. Details regarding shipping are available by contacting NICR. Feel free to contact us by: phone: (323) 725-0657, Fax: (323) 725-0735 or email at nicr@nicresearch.com for discussion on how National Institute of Clinical Research can design a protocol to draw, process, and transport whole blood or blood components to meet the requirements of your experimental design.